(This interview excerpt was part of an oral history program at the NASA Johnson Space Center. 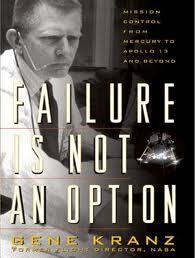 He was interviewed by journalist Roy Neal on April 28, 1999, in Mission Control at the Johnson Space Center in Houston, Texas. This transcription was originally published July 9, 2011). I wish that as a nation we could set our sites much higher. I believe it is essential to have a national purpose. It is essential to maintain the pioneering spirit that made this country great. It’s the spirit that got us through this past century. It got us through world wars. It allowed us to move into a leadership role. And it was a compassionate leadership role throughout the world. And a nation that allowed us to step up to the challenge of the cold war and win it. It’s a challenge that took the country to the moon. It took us into space. It made us the preeminent force in space. And in the process of doing this we rekindled the pioneering spirit of a generation of people that grew up in the Depression and came to adulthood in the 60′s and carried space from the 60′s through to the early 90′s.